Academic Quality - Ballsbridge University , Quality Accredited Education, Promoting Lifelong Learning and research,MBA, PhD. DBA. 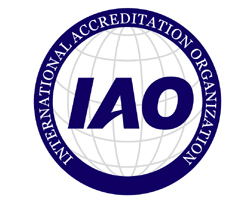 ..
Generally Accepted Accrediting Practice was a standard recommended by BQS to be used by ballsbridge university and all the associated colleges. The board of quality standards (BQF) establishes criteria for both the level and type of university awards. “An award type may be Major, Minor, Special Purpose or Supplemental. Major award types are the principal class(es) of awards made at each level and are characterised by a broad range of learning outcomes. Minor award types do not have the full range of learning outcomes associated with the major award-type(s) at that level. BQS is recognized by the EU registry and adopted EQF standards and recommended the use of ECTS along with the Generally accepted accrediting Practice for Ballsbridge University.